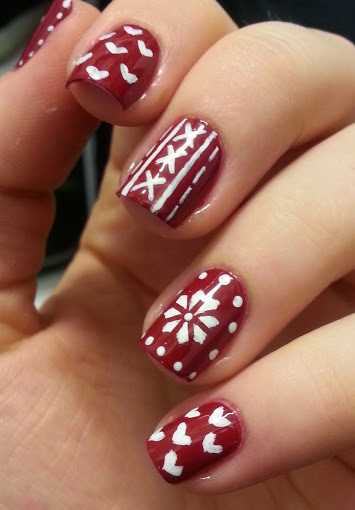 This design is Christmas sweater inspired and it was a lot of fun to create. I don’t really have anything else to say so let’s get on with the tutorial. 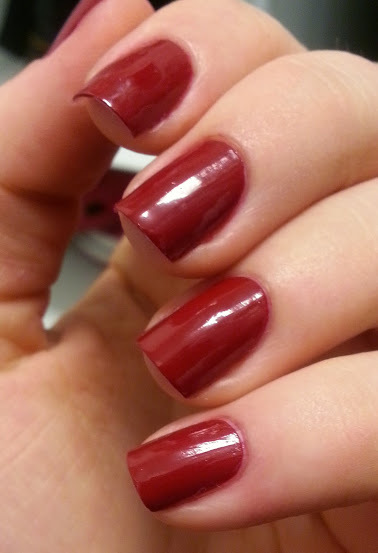 As always start off with a basecoat and apply a red polish until it’s opaque. 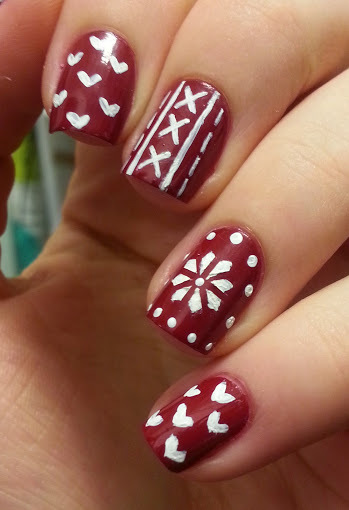 When that has dried use some white acrylic paint and a small brush to make little hearts on your index and pinky fingers. 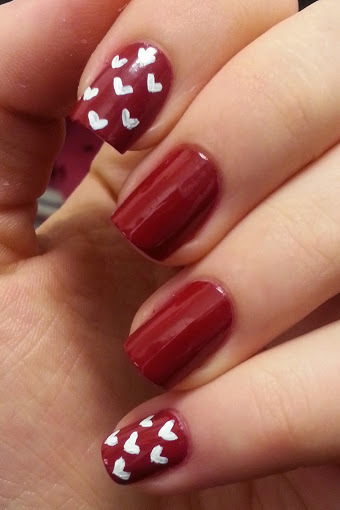 Just take some paint on the tip of the brush and lightly press it onto the nail to make one side of the heart and repeat beside it to make the whole heart. 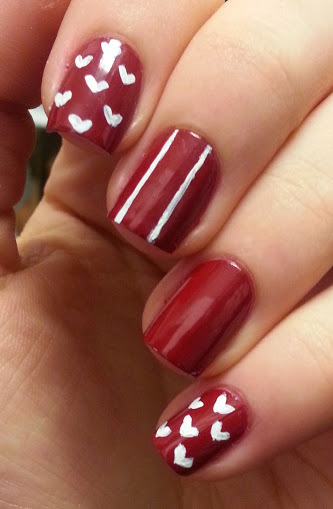 On your middle finger nail paint two stripes down the nail so that the middle is right between the lines. 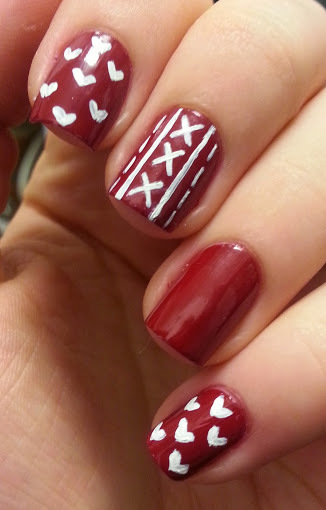 Make three X down the nail in-between the lines you just did. And on the outside of the lines make dashed lines. 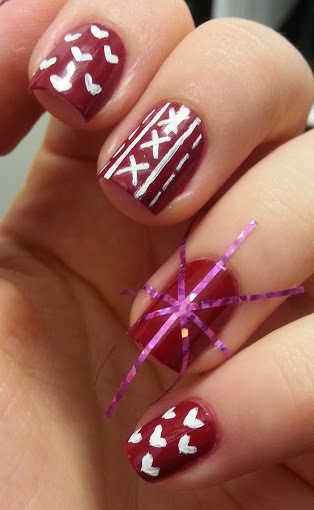 On your ring finger and thumb nail take some striping tape and make a + in the middle of the nail and an X over that. 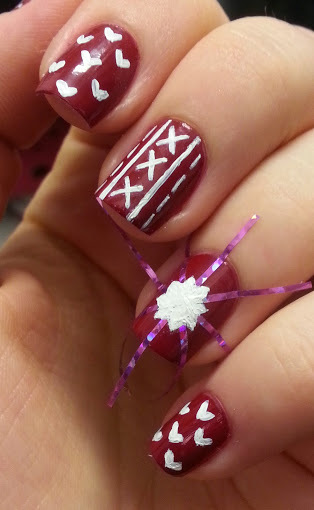 Make sure to press the tape down so the paint won’t leak through and make a star with the edges on the polish. When you’re done peel the tape off carefully. 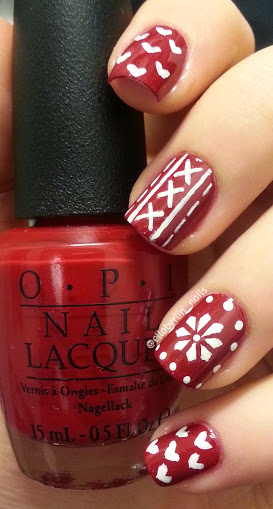 Make a dot in the middle of the star design and dot around the edge of your nail using the same acrylic paint and a dotting tool. 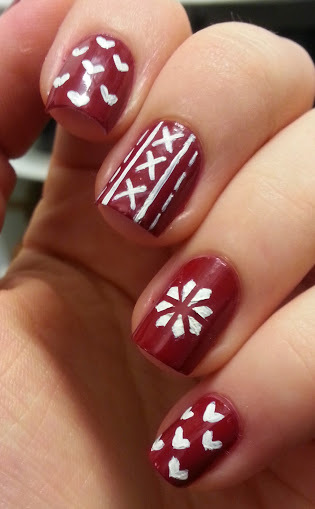 Wait a second for that to dry a little bit, apply a topcoat and you’re done!